Whether you are a blogger, freelancer, or Affiliate Marketer you will want to be able to receive any money earned in a quick and easy way. Some companies will only submit payments through a debit card or cheque. A cheque can take time to receive and is not accepted in all foreign countries. Payoneer makes it easy to get paid online. Payoneer is a New York based online payment online payment solution that handles money safely and securely to over 200 countries worldwide. To apply you do not need to have a bank account. It offers a free Payoneer Debit Prepaid Mastercard that can be used to access funds in any Mastercard supported ATM worldwide. Shop online or locally where Mastercard is accepted. With the Payoneer Debit Prepaid Mastercard you can receive payments from Affiliate Companies or freelancing sites including Shareasale, Clickbank, Elance, Freelancer, Fiverr, etc. Currently if you order a card using one of the highlighted Payoneer links in this post you will receive a $25 bonus free from Payoneer on receiving your first 100 USD payment from any company. It is extremely easy to apply and all is completed online. 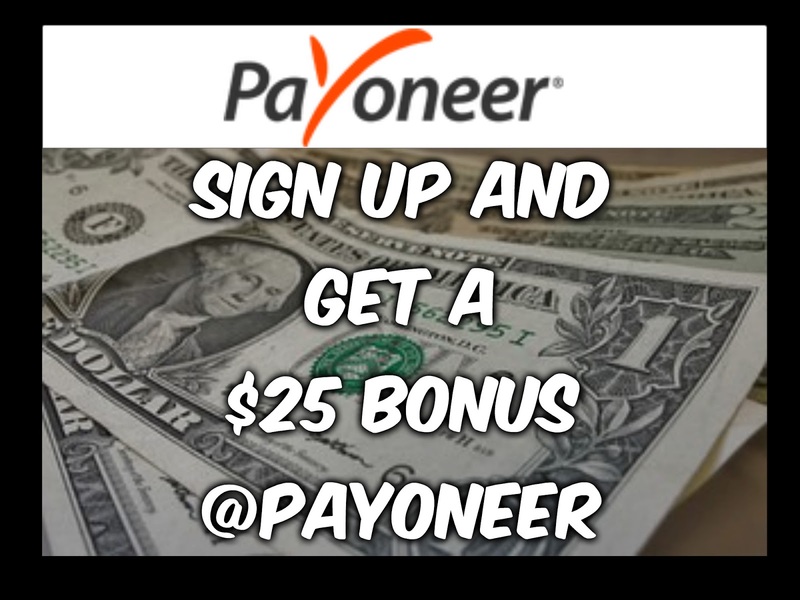 "Get a Free Payoneer Debit Mastercard Along With a $25.00 Bonus"
Thank i didn't know that they are offering us bonus thank you.